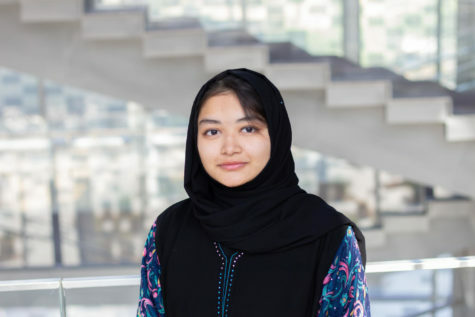 Moom Thahinah is an undeclared freshman at NU-Q. Although she is from Bangladesh, she hasn’t been to her country in the past nine years and is born & raised in Qatar. Staying away from her home country for so long, has increased her urge to learn more about the society and its people - along with which her interest in writing stories began. She has been a part of the National team for her school sports team and SOP (School Olympic Program) for Table Tennis, Swimming, Chess and Athletics. Besides writing and telling stories, Moom has worked under the Guides’ Association before joining college, along with her team, that helped raise a school for the needy, Kainat International School. (Kainat Foundation, Kako, India). She loves writing, addressing genuine topics that play a role in the current day society, sports and public speaking. She hopes NU-Q will be a building block for her to pursue her dreams.